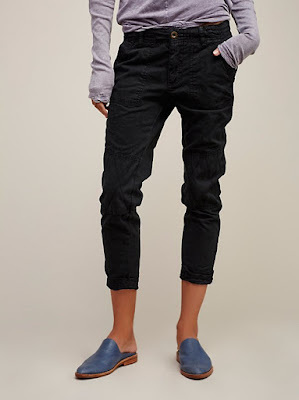 A go anywhere sweater is a must when building a back to school (or fall) wardrobe. This one comes with a beautiful v-neck and bell sleeves. 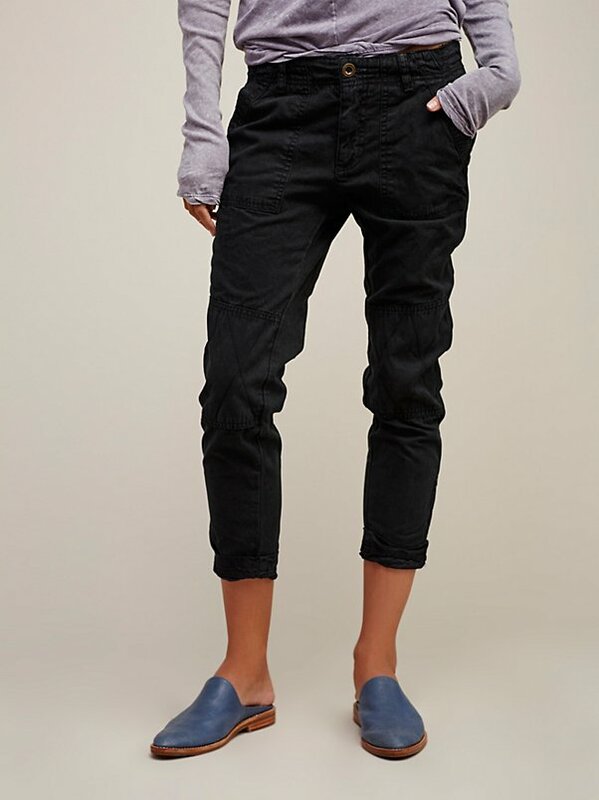 A basic black pant that's easy to throw on will get you through any tough morning staring into your closet. A no fuss black and white shirtdress can go on a date, to class, or to the office. 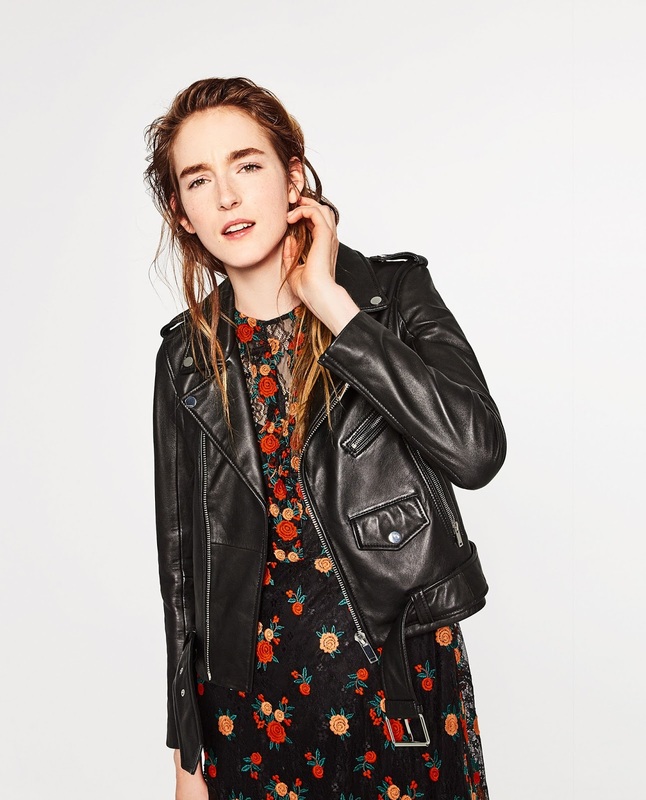 A class leather jacket will stretch you into the colder months. Beautiful lace-ups in neutral grey are feminine and tough. 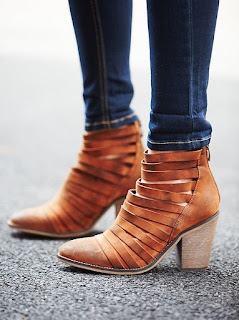 Ankle booties have been in for the last couple of years. 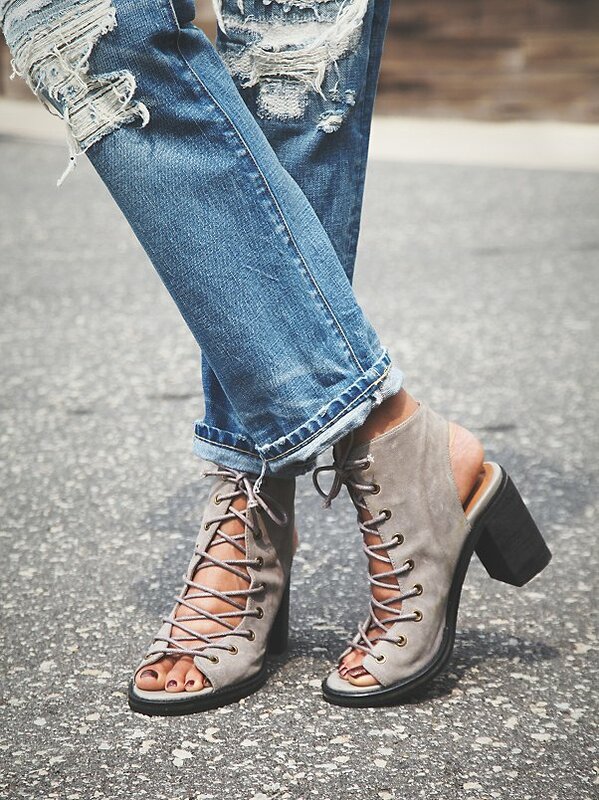 This pair is a fresh take on the bootie.